Baseball great, Will Clark, was born William Nuschler Clark, Jr. on March 13, 1964 in New Orleans, Louisiana. 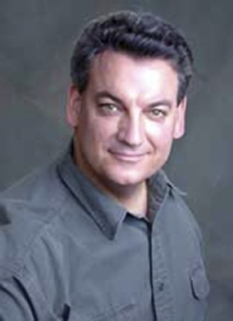 Will Clark is a former first baseman in Major League Baseball best known for his play with the San Francisco Giants from 1986 to 1993. He was recognized by his peers as being one of the best clutch players of his time, and possessed a fiery intensity. He earned the nicknames of "Will the Thrill", a name given to him by his classmates at Jesuit High School in New Orleans, where he played both varsity baseball and varsity basketball, as well as simply "The Thrill" and "The Natural" because of his natural gifts as a player. 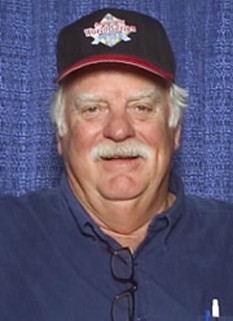 Clark was inducted into the College Baseball Hall of Fame in 2006. 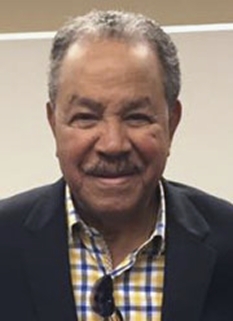 He was inducted into the Mississippi Sports Hall of Fame in August, 2008. He is a direct descendant of William Clark of the Lewis and Clark Expedition. He currently works in the Arizona Diamondbacks front office. Clark played a starring role for the 1984 U.S. Olympic team that yielded such future major leaguers as Barry Larkin and Mark McGwire. During the five-game Olympic tournament, Clark batted .429 with three home runs and eight RBIs. Playing for Mississippi State University Clark was noted for his oft-imitated "sweet swing," said to be among the best in baseball. In 1985, The Sporting News named Clark an All-American and he later won the Golden Spikes Award from USA Baseball. 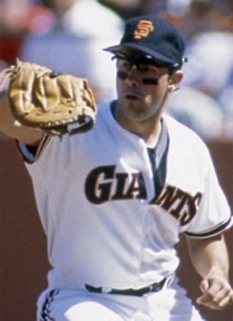 Will Clark was drafted with the second overall pick in the 1985 draft by the San Francisco Giants. Clark displayed his trademark flair for the dramatic during his first professional plate appearances. In his minor league debut, Clark homered on his first swing against Fernando Valenzuela. Called up by the Giants a year later, in his first major league at bat on April 8, 1986, Clark debuted with another home run—this time off Hall of Fame member Nolan Ryan. However, an elbow injury cost Clark 47 games in his rookie season. Clark finished his rookie year with a respectable .287 batting average. Clark prepares to bat during 1992 game at Candlestick Park.Over the next six seasons Clark would establish himself as the premier first baseman in the National League. In his first full season in 1987, Clark had a .308 batting average and a career high 35 home runs as the Giants captured the National League West crown. 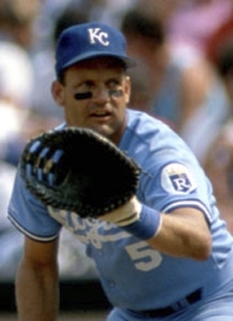 Although overlooked for All-Star status in 1987, Clark was voted the starting first baseman for the NL All-Star team every season from 1988 through 1992. In 1988, Clark was the first Giants' player to drive in 90 or more runs in consecutve seasons since Bobby Murcer in 1975-76. His finest season was in 1989, when he batted .333 (losing the batting title to Tony Gwynn on the final day of the season) with 111 RBIs. Clark finished second in the NL Most Valuable Player voting to Giants teammate Kevin Mitchell. 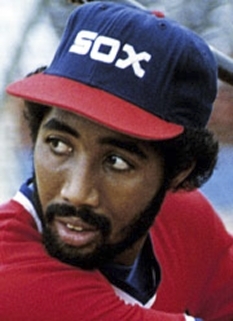 In Game 5 of the series, Clark faced Cubs closer Mitch Williams with the score tied 1-1 in the bottom of the eighth inning. After an epic at-bat, with several two strike foul balls keeping the duel alive for several minutes, Clark singled to center field to drive in two runs, breaking the tie, eventually sending the Giants to the World Series. Clark's efforts, which included a .650 batting average and two home runs, resulted in him being named MVP for the series. The Giants went on to face the Oakland Athletics in the 1989 World Series, but were swept in 4 games. 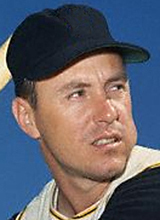 In the only World Series appearance of his career, Clark failed to contribute significantly at the plate, with no runs batted in and a .250 batting average. Clark's contract with the Giants expired after the 1993 season. Although Clark was a popular star and a fixture in San Francisco baseball, the Giants were unwilling to offer a long-term contract to a player with recent injury problems coming off two mediocre seasons. After 1993 season, Clark signed with the Texas Rangers, near his home in Louisiana. 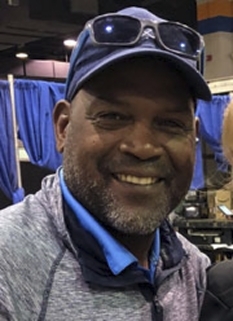 Clark helped the Rangers reach the playoffs in 1996 and 1998, but in both years the team was defeated in the American League Divisional Series by the New York Yankees. Clark joined the Baltimore Orioles for the 1999 season, and spent nearly two years with the club, but was plagued by injuries. The lone bright spot of those seasons was collecting his 2000th hit on June 15 versus the Kansas City Royals. Clark was traded to the St. Louis Cardinals near the end of the 2000 season, acquired in part to play in place of the injured Mark McGwire. A rejuvenated Clark (.964 OPS) helped the Cardinals reach the playoffs, (which included hitting a home run in each of his first four games with his new club), and the team swept the Atlanta Braves in the NLDS. In the NLCS, the Cardinals faced the New York Mets, who would go on to win the pennant, and lost in five games. Clark performed better in these playoffs (.345 BA) than in recent years. After announcing that his retirement would come when the Cardinals' playoff run ended, Clark went 1 for 3 in his final game on October 16, 2000. DISCLAIMER: PFP Sports Talent Agency does not claim to represent itself as the exclusive agent for Will Clark. PFP Sports Talent Agency is a booking agency that represents organizations seeking to hire pro athletes and sports personalities such as Will Clark for speaking engagements, personal appearances, product endorsements and corporate entertainment. Fees on this website are estimates and are intended only as a guideline. Exact fees are determined by a number of factors, including the location of event, the talent’s schedule, requested duties and supply and demand. PFP Sports Talent Agency makes no guarantees to the accuracy of information found on this website and does not warrant that any information or representations contained on this website will be accurate or free from errors. We are often asked how can I find out who is Will Clark's agent? To find Will Clark appearance fees and booking agent details, you can contact the agent, representative or manager through PFP Sports Talent Agency for speaking fee costs and availability. PFP Sports Talent Agency can help your company choose the ideal sports personality for your next marketing campaign. To hire Will Clark for an appearance, speaking event or endorsement, contact Will Clark's booking agent for more information.